Wow...2019 already! Big changes are on the horizon. This site will be updated and filled with all kinds of new work.... Lets make this year on of the best! As always THANK YOU for your purchases, support and feedback. 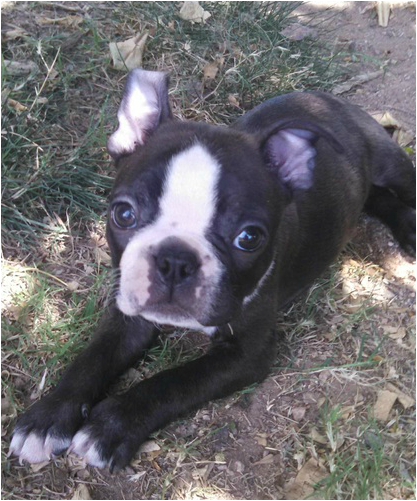 Hi everyone....It has been a while and I have been busy! If you have visited this site in the past you might remember that there was an online store. As of today I have temporarily disabled it because I have too many other things going on to keep the store stocked with product. I have been doing more commissioned work for private parties (that's right IM FOR HIRE) and it has taken up most of my time as of late. I still have some items for sale and will periodically advertise them on my social media accounts and or other sites such as ebay. This website will be completely updated in the near future to make it better for myself and for you. As always if you have any feedback or questions please email me and I will respond ASAP. I'm happy to announce that the great crew at Iconic Brands gave me a wonderful opportunity to sculpt and revamp the bottle for the unmistakable, award winning, DEADHEAD RUM. 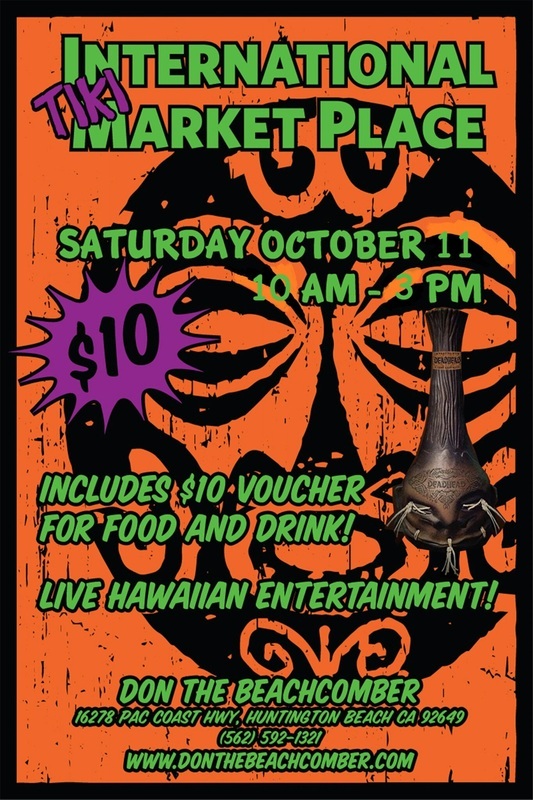 It all started back in 2013 at the Invitational Deadhead Rum bottle art competition. Myself and 9 other artists altered the original design and they were put on display. Later, I was approached by Iconic Brands to sculpt a new updated bottle design that incorporated some of their favorite elements from several of the submissions, including my own....hence the 2.0 version. This is an established brand....we needed to stay close to the original design but add a little flair and character. The new bottle has: enlarged eyes, a furrowed brow, DEADHEAD logo on the forehead, reworked mouth and nose, more human-like ears, a scar on the back of the head.... and "drunk-O-meter" holes on the back (so you can see when your running low...or brag to your friends). I thought a comparison might be fun so here are some photos of the two of them side by side. As always Thank you for your continued support! $10 at the door gets you in to see some great bands, entertainment, and don't forget the car show! Doors open at 3pm and the event goes till 7:30. This is a 21+ show so bring your I.D. Myself and others will be there vending our goodies. Come out have a great time and say hello. See you there! Feel free to pause the slide show below for more info. Opening reception : Saturday August 30 from 3pm to 10pm. I'm happy to announce that some of my work will be in the show as well as many other incredible artists. 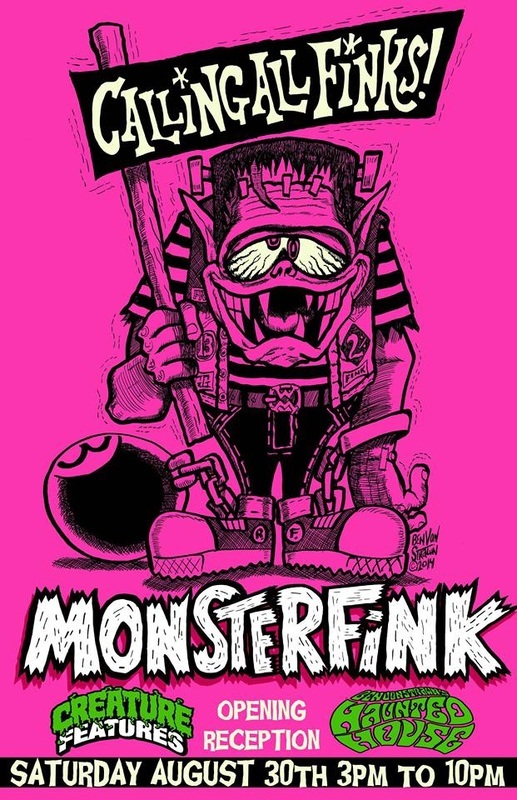 This is a huge group show and promises to be of EPIC proportions! If your in the area this is not to be missed. For the latest up to date information check out the Facebook event page. Well its that time of year again! 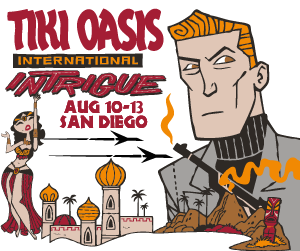 Tiki Oasis is right around the corner (August 14-17) in San Diego. I always see a lot of cool pendants there so I decided to make a small run of my own. 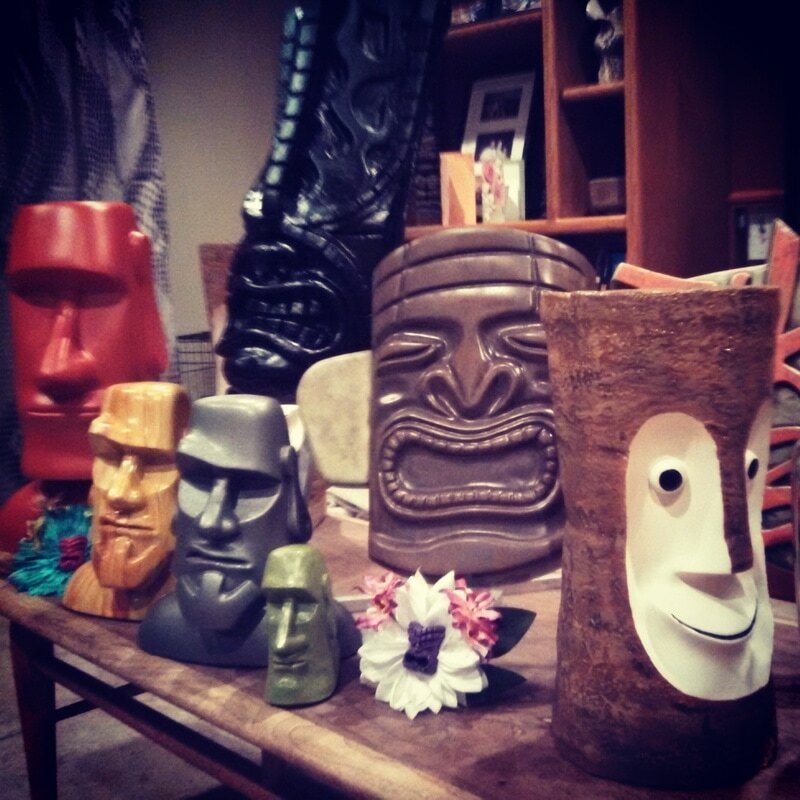 This years theme is BEAT TIKI so I made a LIMITED EDITION Beatnik version as well as a more traditional style of MOAI. I'm only making 100 pieces of the "Daddy-O". All are hand made by yours truly...signed and numbered. When they are gone they are gone daddy gone.... Dont be a square! Head over to the STORE and get yours before they are all SPLITSVILLE!!! Every once in a while I get a request that is really fun and exciting. This is no exception. The wonderful people over at DEADHEAD RUM commissioned me to make a new bottle design for their single barreled dark chocolate rum. 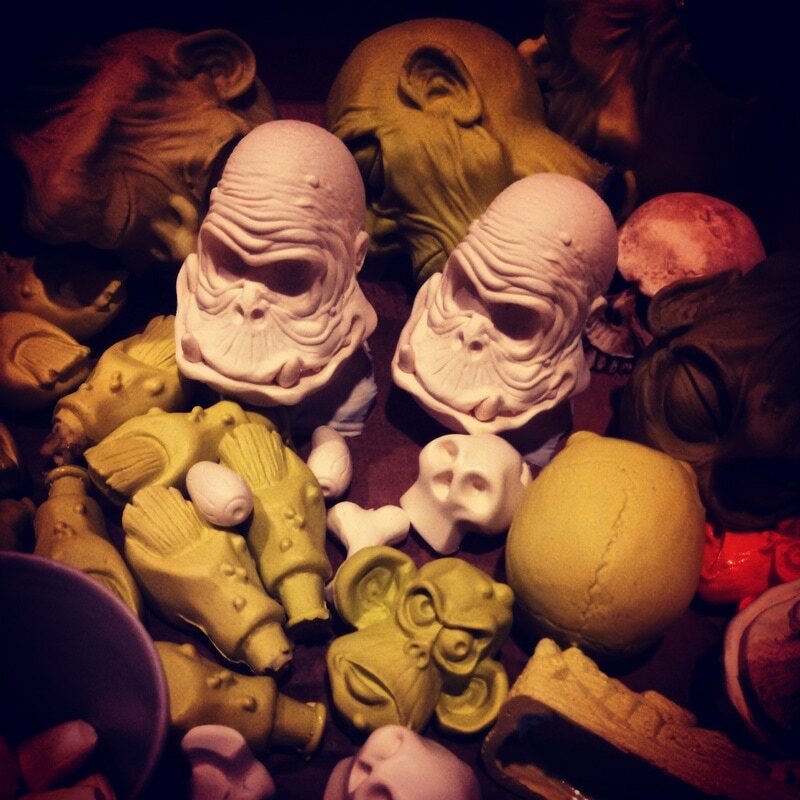 This will be in a shrunken monkey head that I sculpted...soon to be at a retailer near you this Fall! Please check out the press release below...and check out the link if you want more information on the dark chocolate rum and its story. June 2, 2014 – Industry, CA Iconic Brands, Inc., known for its innovative products, announced its intent to bring to market a single barreled aged rum infused with decadent dark chocolate from the country of Mexico. Deadhead® Dark Chocolate Rum is a small batch, hand crafted spirit made at an old family owned distillery near the Caribbean coast. compliment Deadhead Rum’s flagship brand. Kim Brandi explains the idea of the new bottle. The most challenging aspect of developing the new bottle was to retain the integrity of the brand while changing it completely. Deadhead® Dark Chocolate Rum will be available at fine retailers, bars and restaurants throughout the U.S. this fall. The 750ml bottle will carry a suggested retail price of $28.99. Industry, CA. Available Fall 2014. www.deadheadrum.com.